The WTS2000 is an accessible, affordable, tow-behind accelerated sedimentation tank. Tanks are DEP-approved for dewatering; sediment control; maintaining sediment basins, storage tanks or MTDs; dredging; oil/water separating; and construction site discharges. 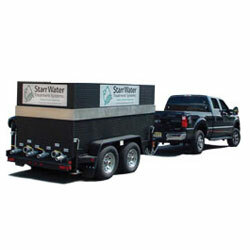 They have the ability to dewater on site while staying U.S. EPA compliant.